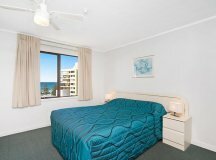 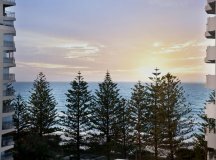 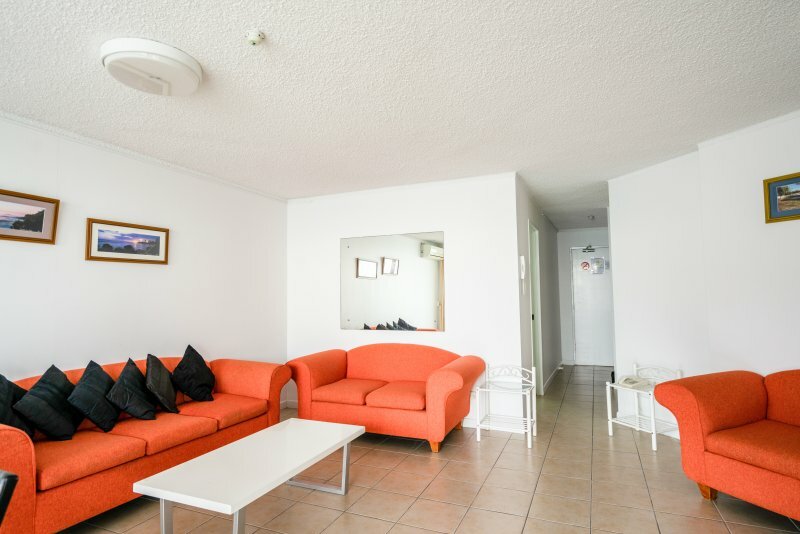 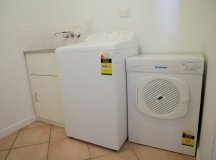 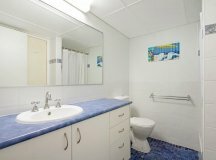 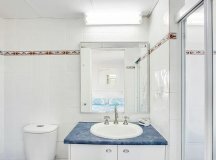 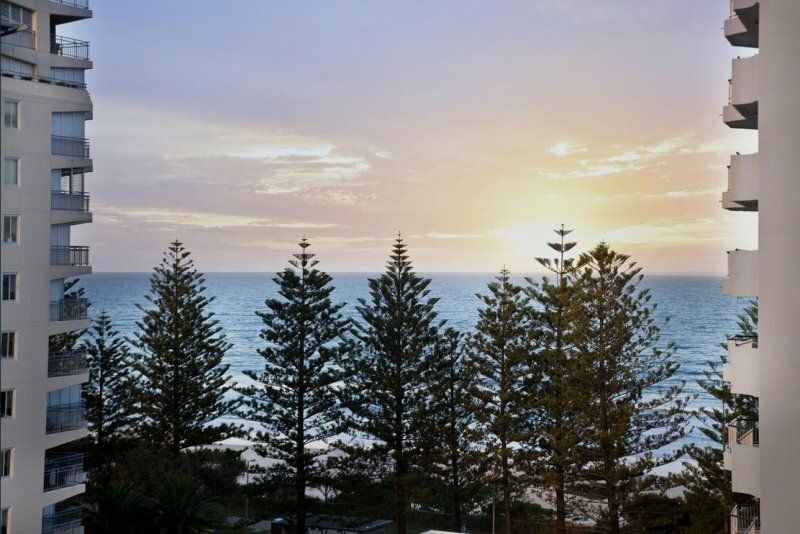 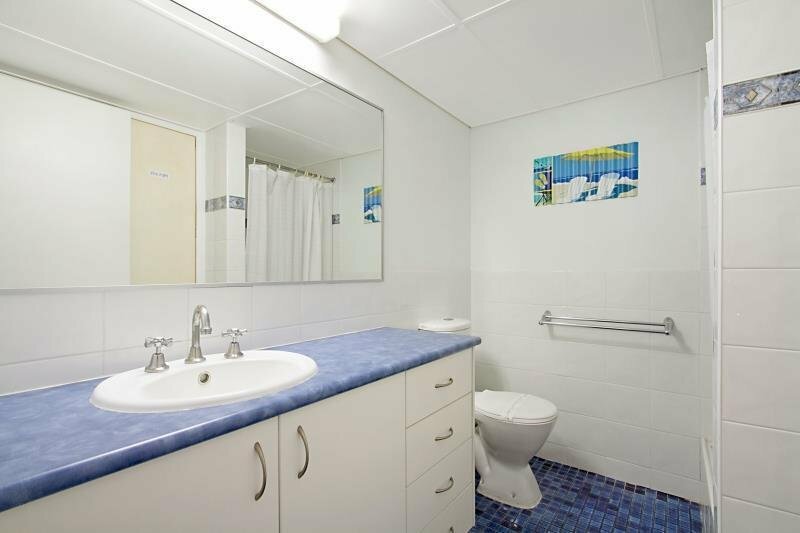 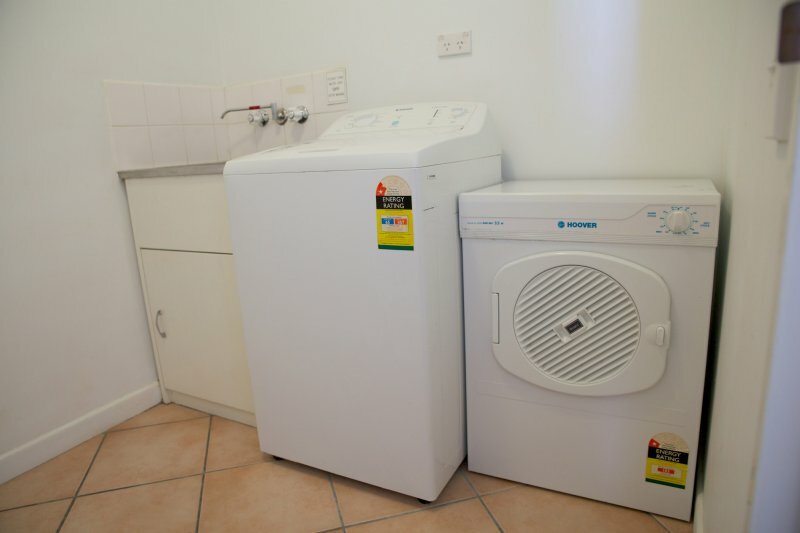 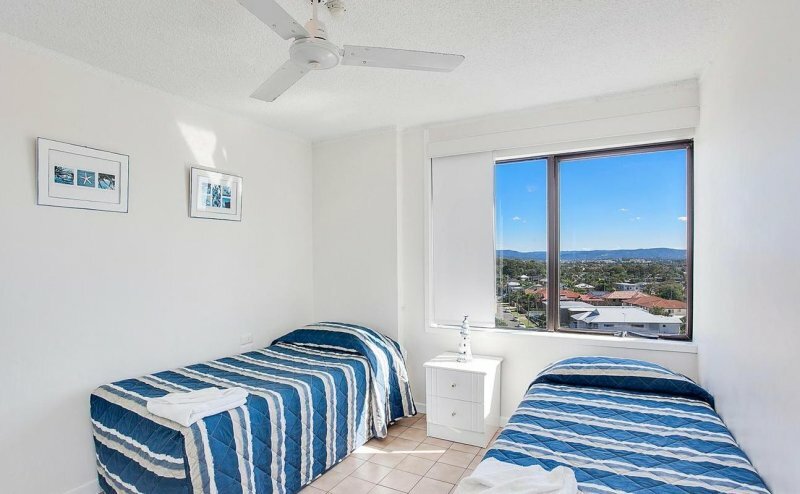 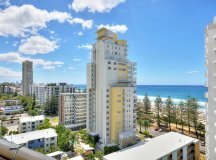 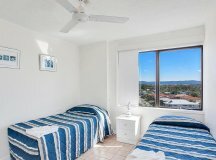 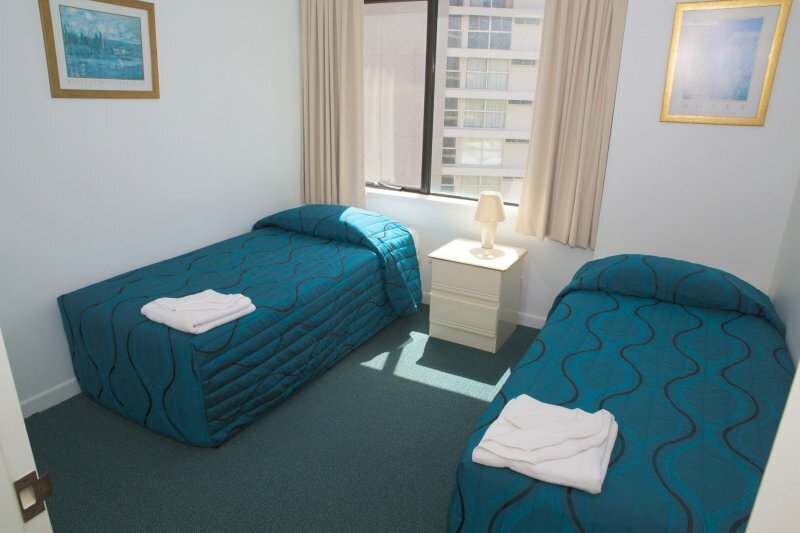 Relax and unwind in our fully self contained, comfortable and spacious holiday apartments Burleigh Heads. 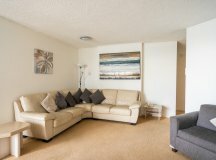 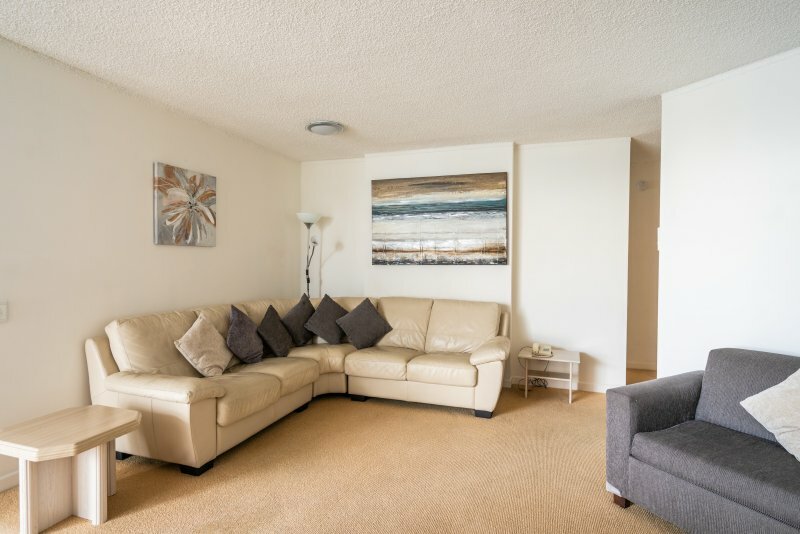 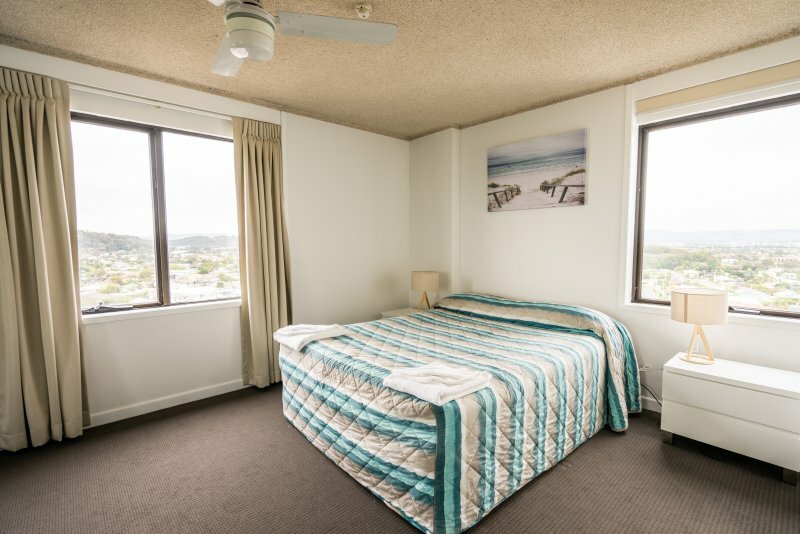 We have a selection of one and two bedroom apartments on offer, all equipped with a full range of amenities and private sunny balconies for making the most of the stunning ocean and hinterland views. 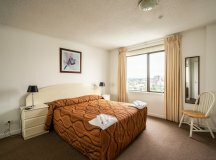 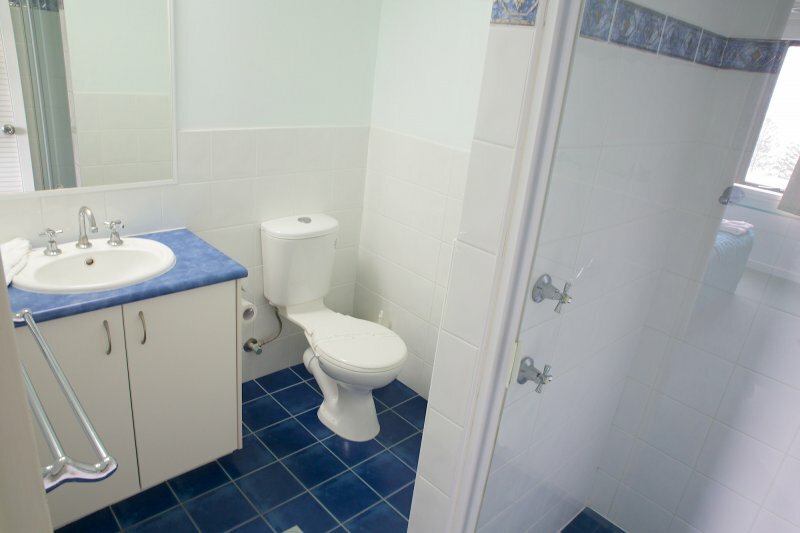 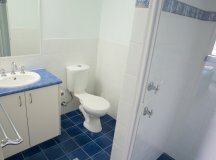 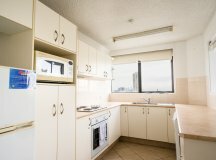 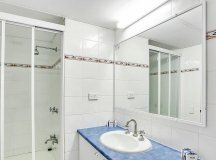 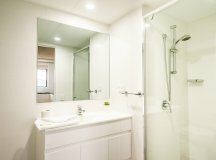 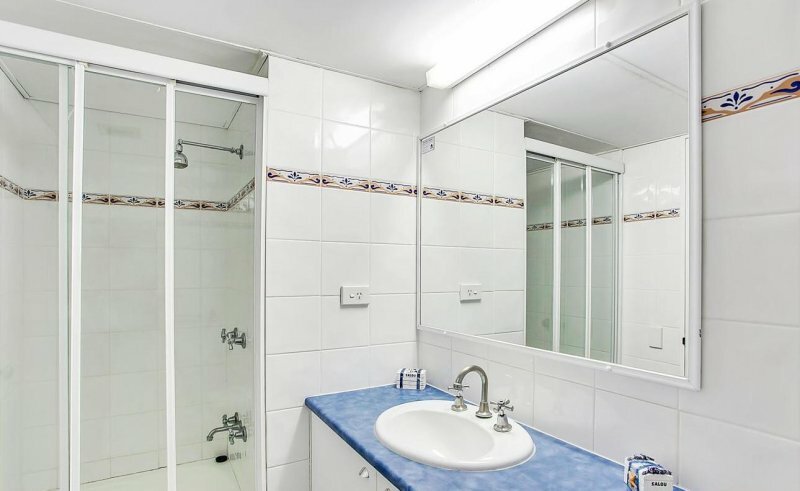 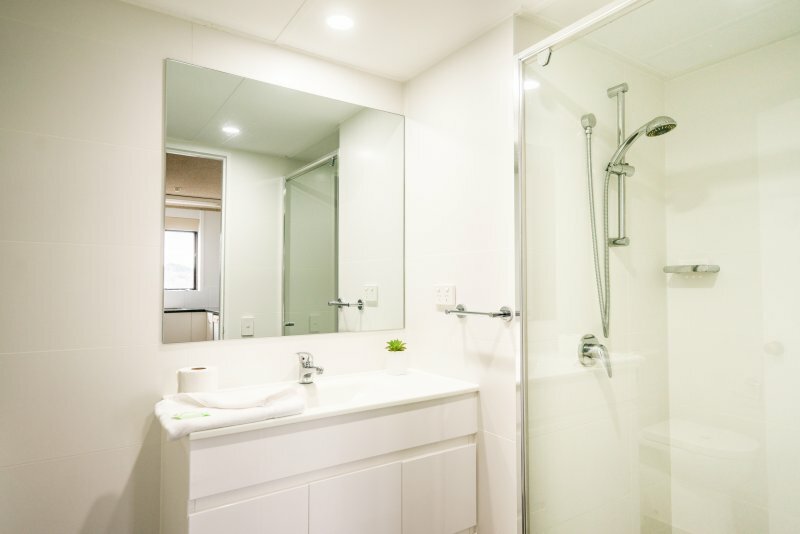 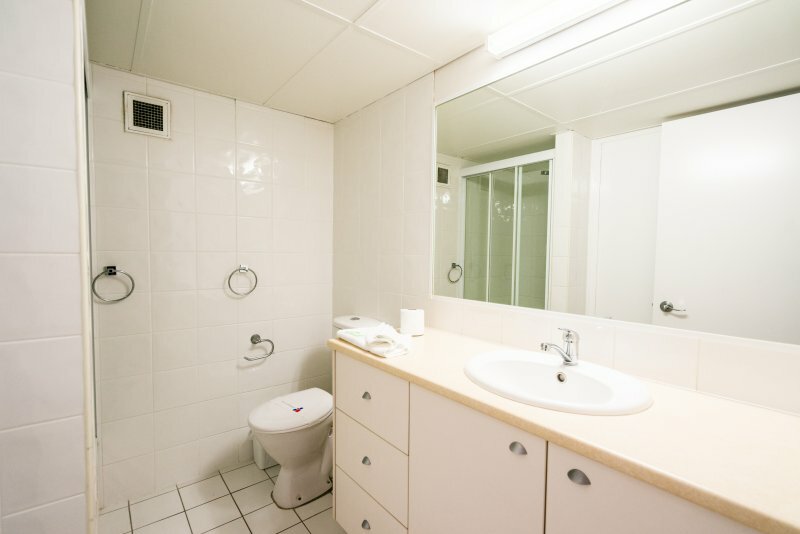 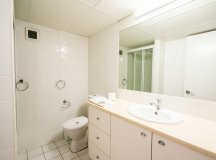 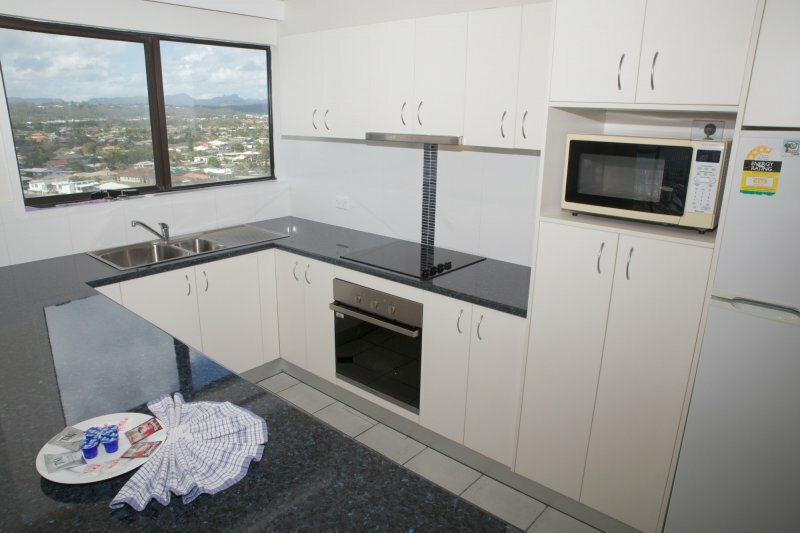 One bedroom, one bathroom apartments with fully equipped kitchens and laundry facilities. 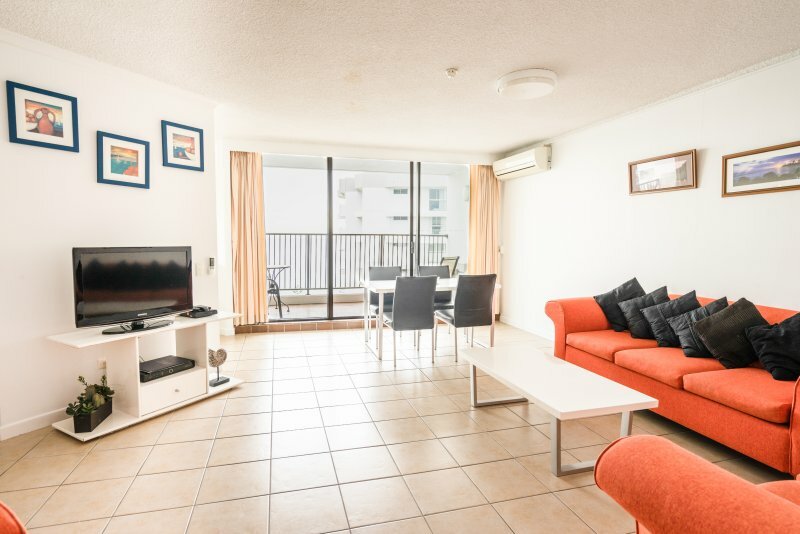 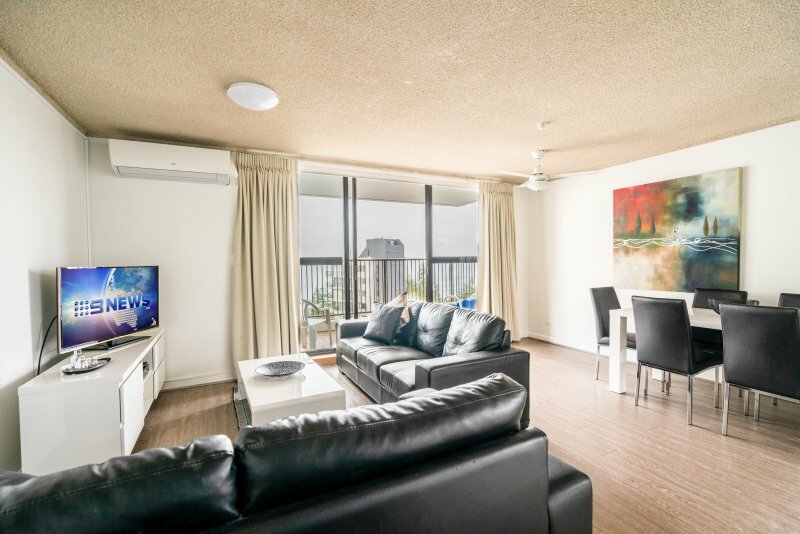 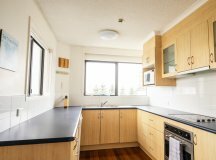 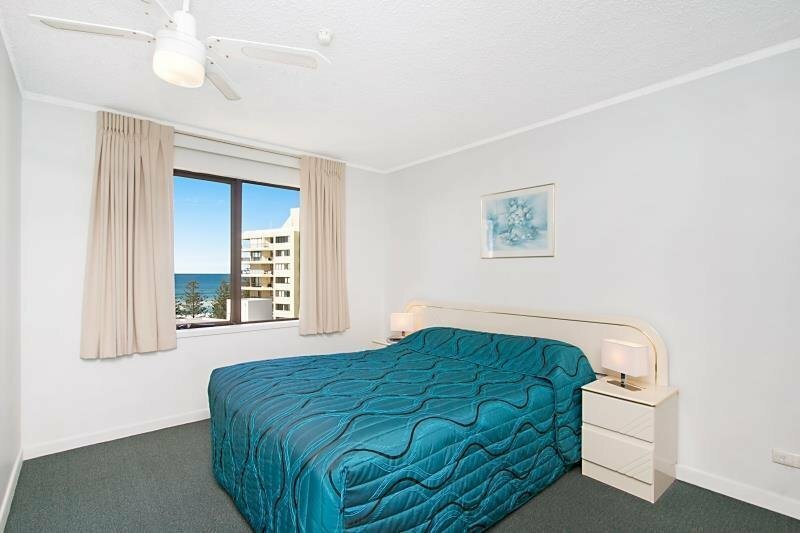 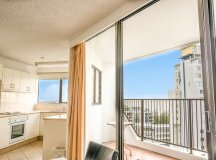 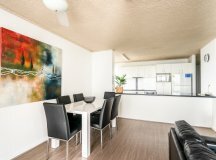 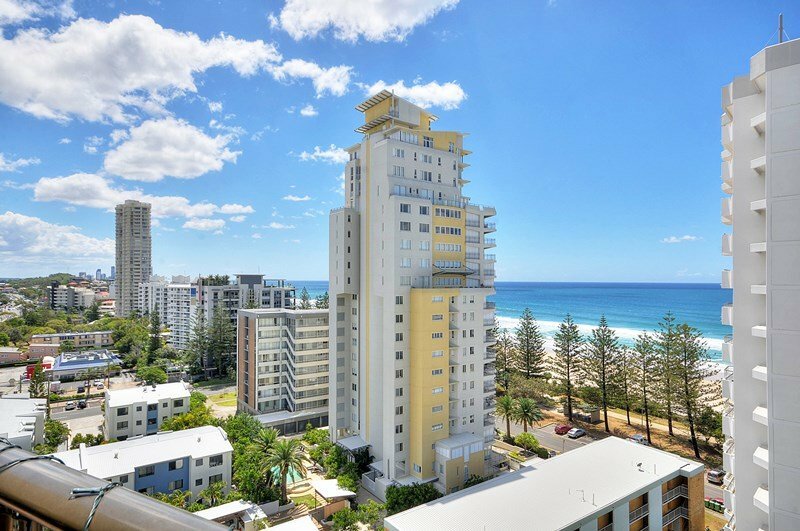 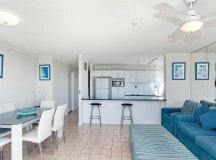 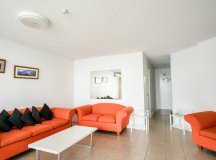 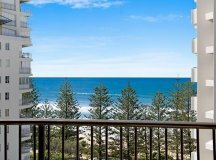 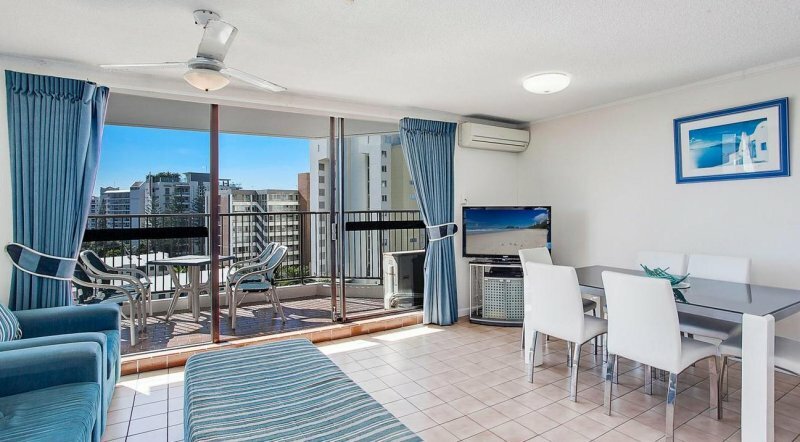 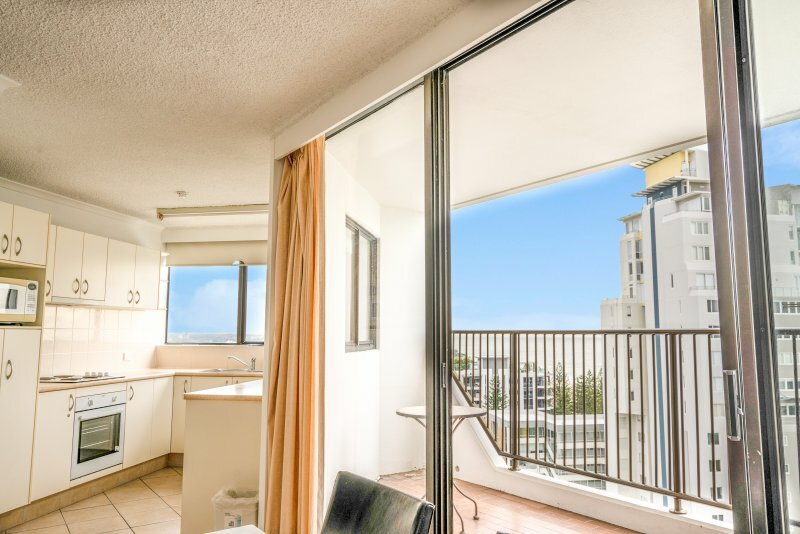 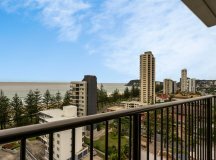 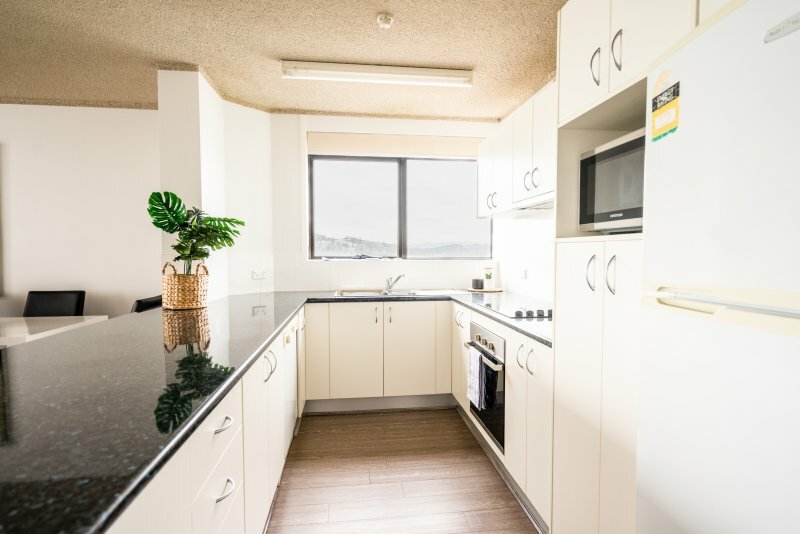 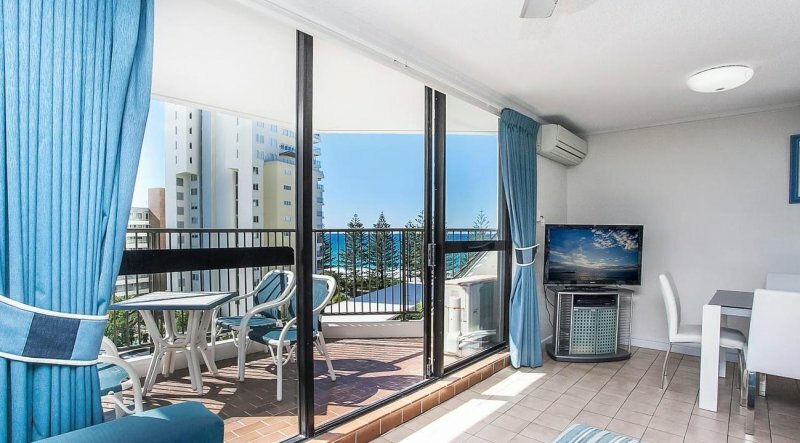 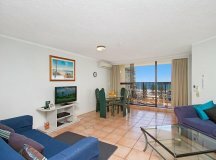 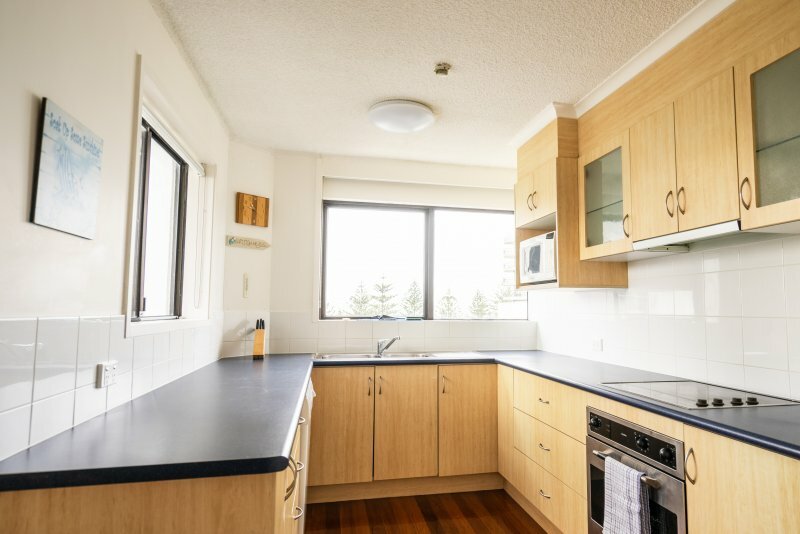 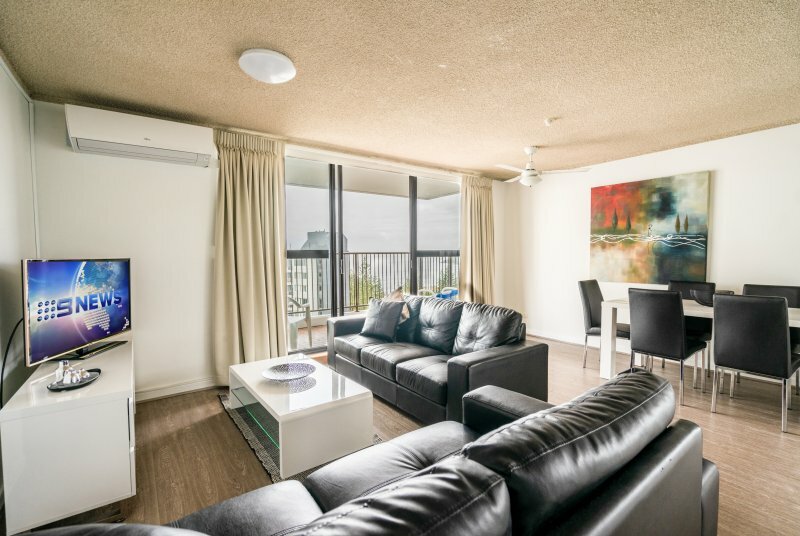 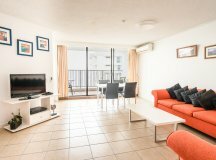 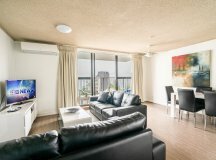 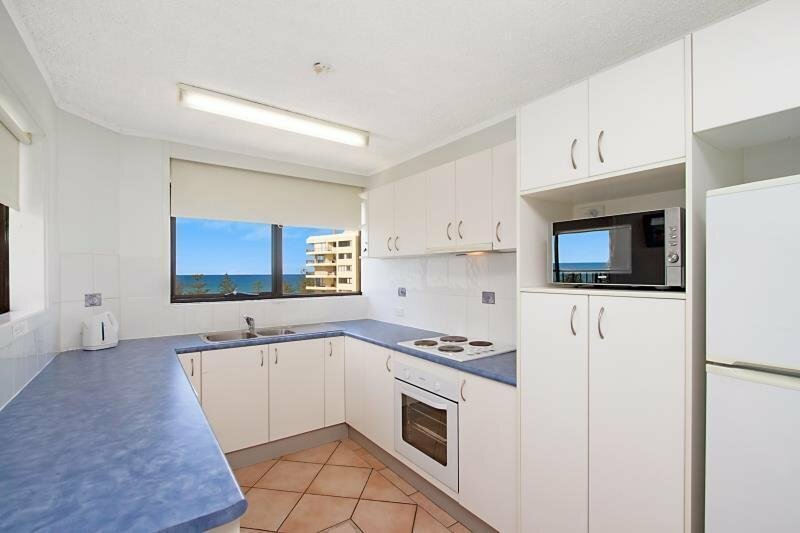 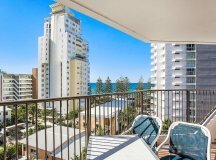 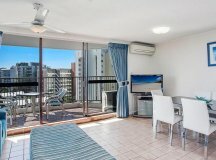 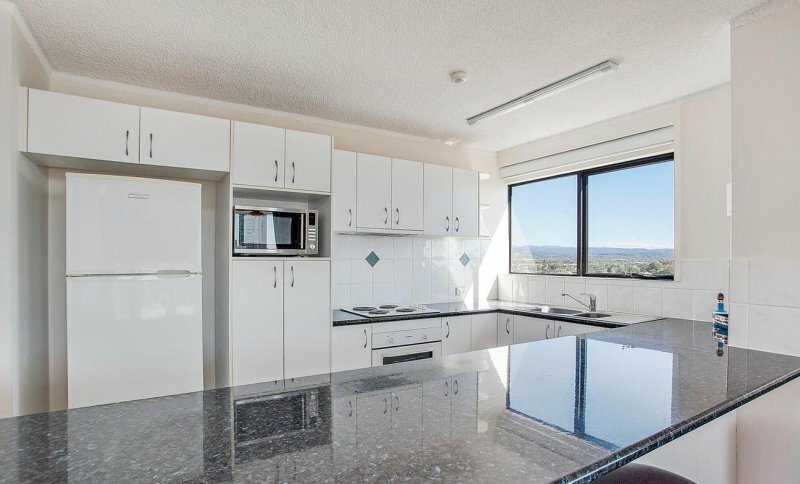 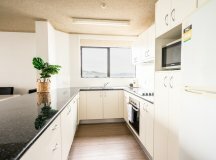 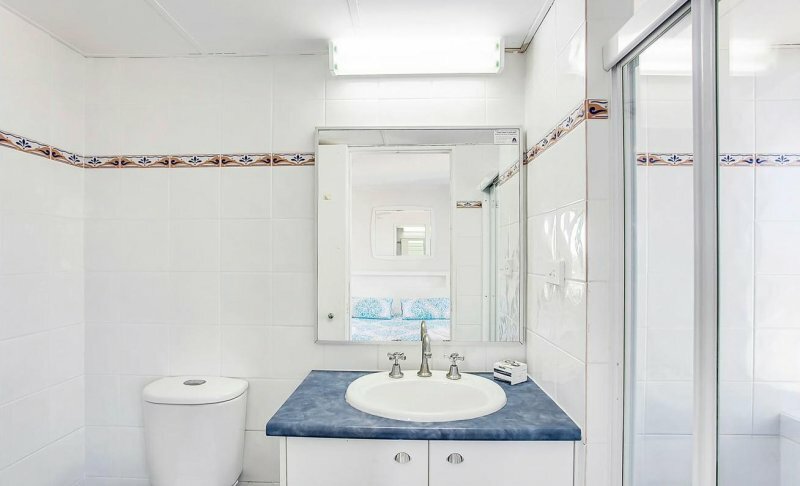 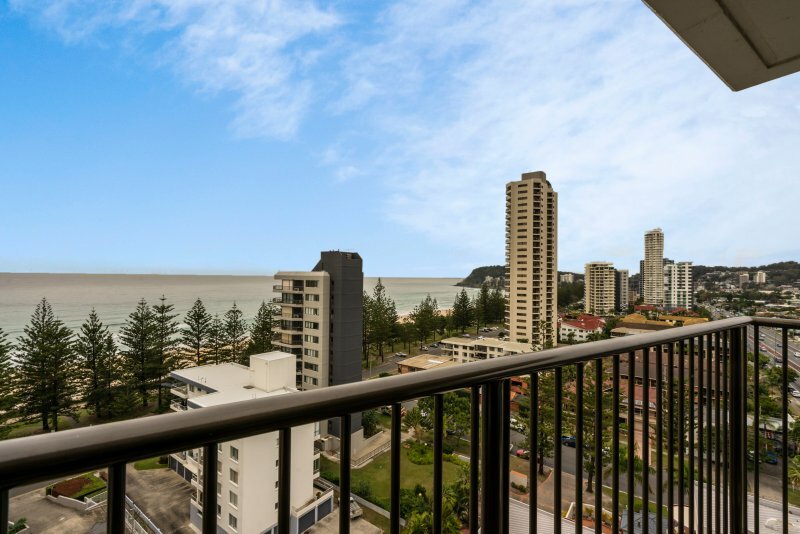 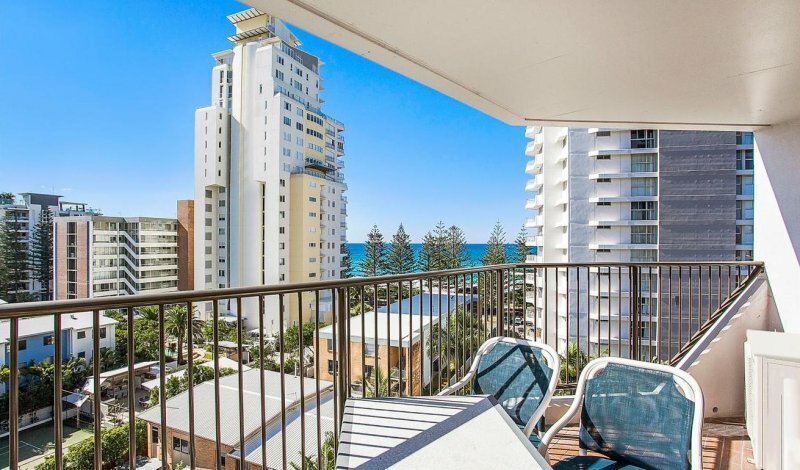 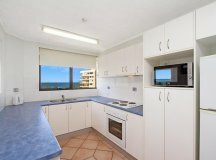 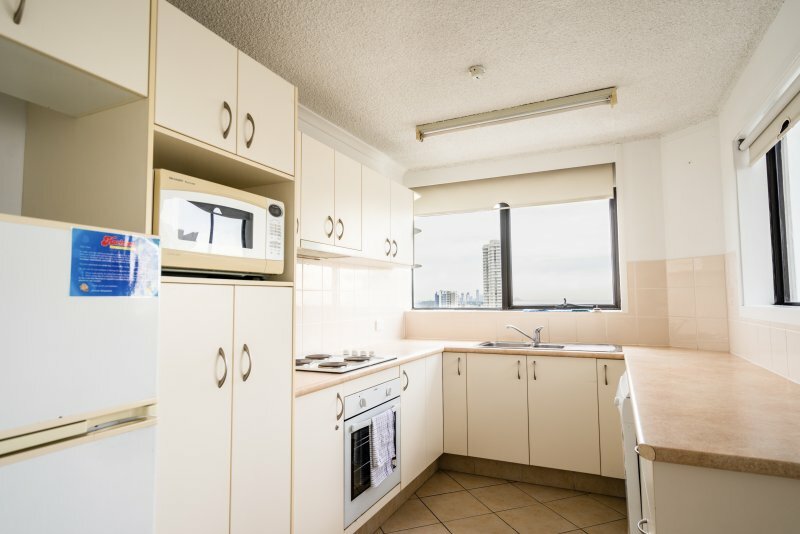 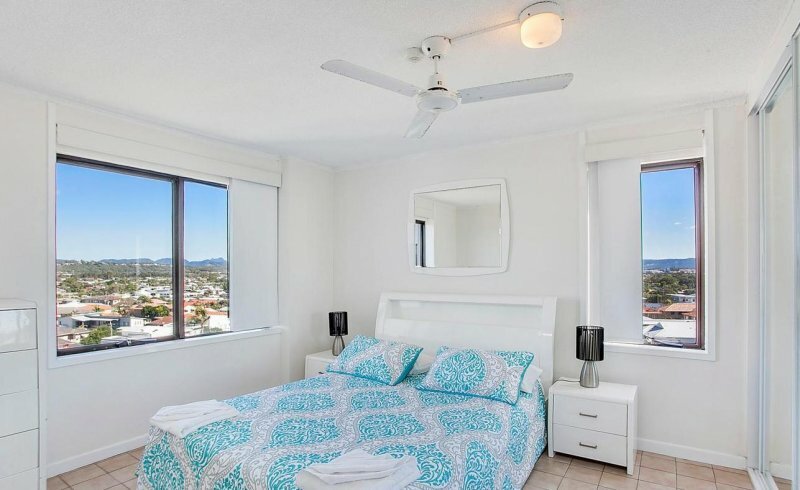 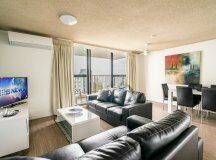 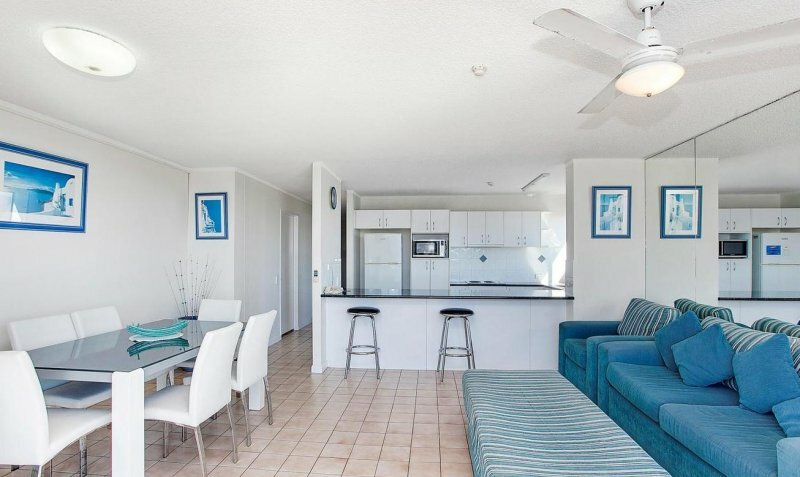 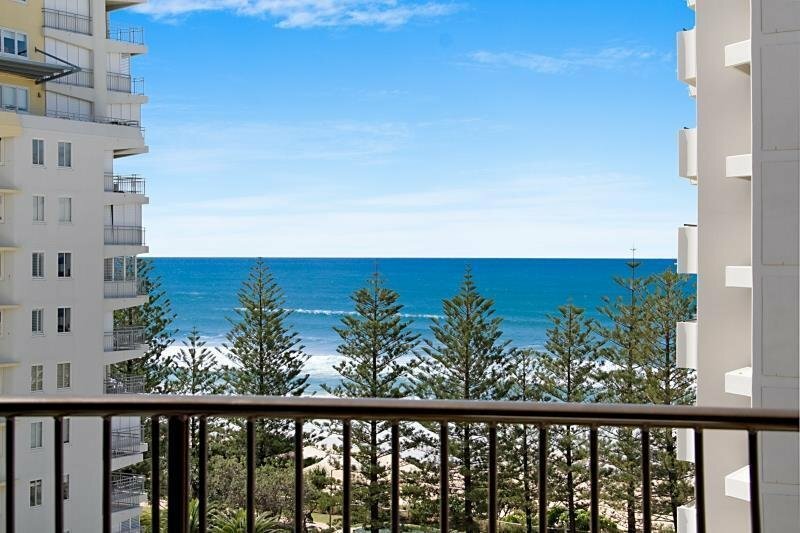 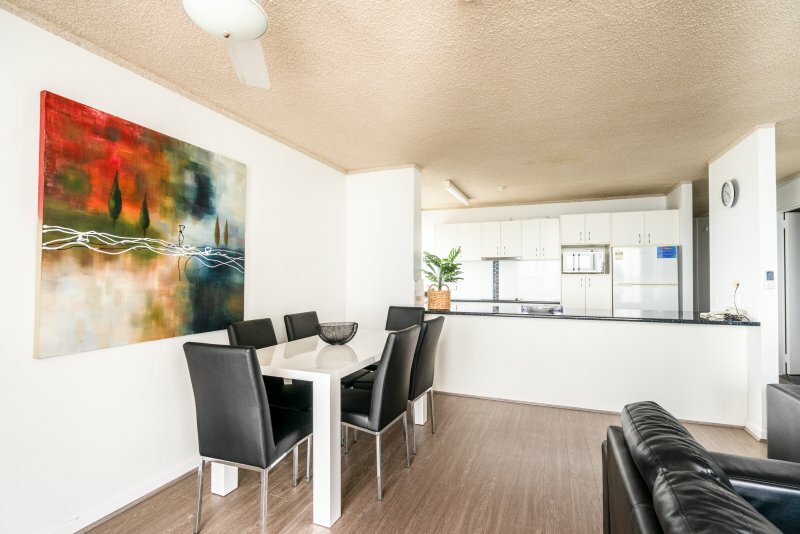 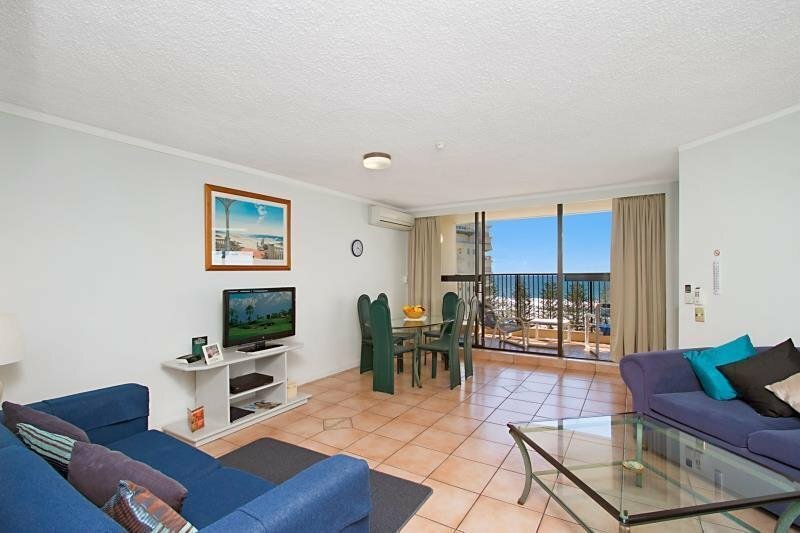 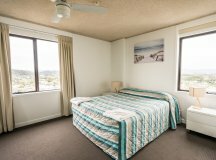 Apartments feature Wifi internet access (additional charges apply) ceiling or pedestal fans, spacious private balconies, a comfortable living area with free Foxtel and fantastic Ocean, hinterland or tropical garden views. 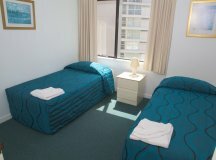 One Bedroom Apartments feature one Queen Bed and are suitable for a maximum of 4 guests. 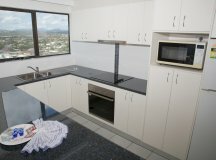 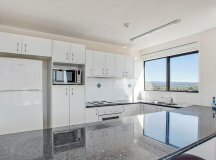 Spacious two bedroom, two bathroom apartments with fully equipped kitchens and laundry facilities. 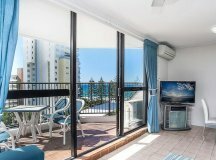 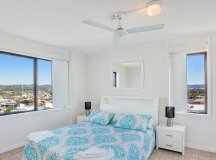 Each of the two bedroom apartments at Horizons Holiday Burleigh Beach Accommodation feature Wifi internet access (additional charges apply) ceiling or pedestal fans, spacious private balconies, a comfortable living area with free Foxtel and fantastic ocean, hinterland or tropical garden views. Two Bedroom Apartments typically contain one Queen Bed and two singles (some apartments have slightly different bedding configurations in the second bedroom) and are suitable for a maximum of six guests.